MAIN POINT: Far too many people think of retirement almost entirely in financial terms. Retirement is an attitude, not a state of being. What is retirement to you? One common dream I have heard is this. According to this person named Johnny, this is how he describes it. "When I grow old, I will buy myself a nice cottage by the seaside. There will be 8-bedrooms that can accommodate at least three generations in my family. Each Winter, there will be a nice log fireplace to keep our bodies warm. Each Summer, there will be grandchildren running around the house to keep our hearts warm with adoration and love. Every morning, instead of rushing to work, and engaging in office politics, I will walk hand in hand with my wife. After the walk, I will sip my Earl Grey Tea. Following lunch, I will take a nap. Then it'll be time for my second cuppa, and so on. Life will be good. Doing nothing. Nothing at all. The money in our bank should pay for all our needs until death. That's retirement life!" Such a dream, while not impossible to attain, will often remain a dream. The money may be there. The bungalow may be available. The grandchildren may still come. However, if the heart is not ready, there is no retirement, only confusion, frustration, and a drastic mismatch of expectations about retirement and reality. Billy Graham talks about one such 'successful' couple in their golden years. This couple achieves a lifestyle almost identical to the above dream vacation and lifestyle. The first week was a welcome joy. They freely set their own schedule, and did everything in stride. The second week was filled with more of the same. By the third week, as the novelty started to wear out, all these things started to appear boring. By the fourth week, the beach looked the same. The sunrise and sunset looked identical. The house they lived in looked more dead than alive. By the fifth week, they wondered about life. They pondered whether there is life other than simply walking the beach or napping all day long. The 'retirement dream' that they were living was not as exciting and as meaningful as they had initially thought. Five weeks of reality are more than enough to shake up all of their expectations, accumulated through more than 50 years of hard toil and labor. It was a classic major mismatch where external reality completely misses internal expectations. This friend of Billy Graham has this to say. Bummer! Thinking we are ready does not necessarily translate into being ready. Graham makes this insightful observation that is worth our remembering. Indeed. Retirement is more of an attitude, instead of a state of being. More importantly, what the world calls 'getting retired' is less of trying to achieve a certain financial independence, but more of attaining a successful transition to a new phase of life that is MORE than monetary terms. Retirement. This 10-letter word is dreaded by some, anticipated by others, but ignored by many. Canada, like many countries in the West has a pension fund. The purpose of such a fund is to provide some financial relief for people who have retired from the workforce. Each month, eligible Canadians will get some money, depending on various factors. Persons between the ages of 65 to 70 are able to get some monthly allowance until their death. It is meant to facilitate persons transitioning from work to retirement, rather than a way to maintain their standard of living. This particular point is often missed, which is why some seniors become more skeptical about the government handouts. Such people also tend to be sarcastic about the amount, pointing to an inflation rate that is fast overwhelming anything the government gives. "Conrade, you're not even 50 yet. 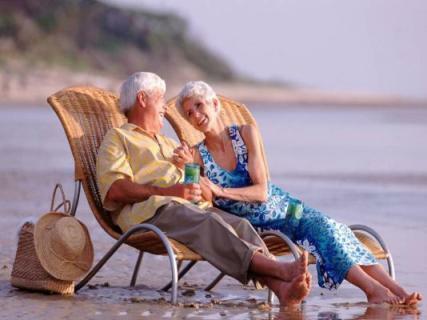 Why are you talking and thinking about retirement?" My reply is this: "It is never too late to plan for retirement." If a man like Billy Graham, who has lived such an illustrious life can say that retirement is not easy, what makes us think we can do better? Perhaps, the more 'successful' and more 'recognized' we have been in our corporate worlds, or during our prime years, the more challenging it will be as all of us approach the same destination: Death and Dying. Just yesterday, I happened to be visiting my favourite bookshop. It is one of the last surviving top quality Christian bookstores in North America. The owner is fast approaching 60. He recognizes my face, but not my name. All he remembers is what I do. I have previously assisted him to solve his computer problems. As people age, memory recall becomes a bigger challenge. Yet, when I engage him on some theological chitchat, his knowledge and ability to reason is remarkably sharp. Bless him. Being old is not just the gray hairs on the head. It is the great wisdom in his heart. Something about growing old and memory loss strikes me. Whatever we have exercised regularly will translate into better remembering. Tiger Woods will probably remember his golf strokes for the rest of his life as he practises and competes with these skills all year round. Bill Gates will probably remember all the major turning points in his management and founding of one of the largest software companies of the world. Likewise, Billy Graham remembers the Bible fondly and vividly, for he has preached so often, prayed so much, and studied so diligently the Holy Scriptures for so many years. The parts of the human body that we use the most, will be the last thing that we will ever forget, even as we grow old. Implication: The less we use, the faster we forget. The more we use, the better we remember. As we grow old, this becomes more and more significant. Are you ready for retirement? What are the More Important Things in your life? What about relationships? What about the things that we say so often but fail so frequently to do? Think Relationships. The long forgotten friend of yours that you happen to bump into last week. You promised to call him. Have you called him? You say that your young son is the most important gift to you from God. Have you said a word of appreciation to him? Your own spouse that you have pledged to cherish for better or for worse. Have you said a loving word of appreciation to him/her today? The colleague of yours who happens to be stressed out at work. Is your time with this colleague only restricted to office matters? Think Spirituality. You say that you believe in the Word of God. You proclaim Christ. Suppose one day you happen to be arrested for your faith, will there be sufficient evidence to convict you that you are a follower of Jesus? Have you manifested the fruit of the Spirit? Are you living out the Beattitudes in the Sermon on the Mount? Are you doing to others what you want others to do to you? Are you praying often enough that you will never forget the prayers for the ones you love? Are you reading the Bible daily enough? Think Wisdom. Remember Jesus' definition of the wise man from the foolish man? The latter builds his house on sand (material things, like money, etc). The former builds his house on the Rock (Christ, God's Word). As long as we think of retirement in mere financial terms, the only things we remember are the means we use to attain these financial targets. We will remember how we make our first $1 million dollars, but forget our children's first transition into young adulthood. We quickly remember to tell others we go to Church every Sunday, but slowly forget about the true meaning of Church beyond such Sunday attendance. We quickly remember how we sign our first major contract, or strike the biggest business deal, but slowly forget about our first marriage vow with our spouse. We are quick to point out that there are 66 books in the whole Bible, but slow to recall what they actually say. We are quick to state the importance of prayer, but slow to confess how weak our own praying has been. Getting ready for retirement is a long process. It is never too early or too late to prepare for it. This is because retirement is not a state of being. It is an attitude of the heart. The LORD sees Joshua getting old, and shows a gracious understanding of who Joshua is, and the work that needs to be done. Instead of asking Joshua to conquer the rest of the land that has yet to be conquered, He tells Joshua to plan ahead. He tells Joshua to mark out the land according to His instructions. He tells Joshua to remember to trust the LORD (Joshua 13:6) to make the way, while Joshua makes the plans. Joshua will die, but the Work and Word of the LORD will never die. As we think about retirement, let it not be a resignation to a frail, useless, and meaningless life. Instead, let the LORD rework our perspectives to move to appreciate our relationships (think relationship), to refocus our attention on things above (think spiritual), and to lay the foundation of God (think wisdom) for us and our loved ones. In the words of one of my favourite Carpenters' classic: "We've only just begun. To live."